One of the biggest parts of visitor optimization is getting inside the visitors head – understanding what they are doing, what they are looking for, and how you can best serve them. This is one of the most basic concepts of website building, yet one that people always seem to ignore. If you google a term like “Full Tilt Rakeback” for example, you will find a lot of webpages which will provide you with rakeback for Full Tilt Poker. The majority of these websites are done well – they have nice simple signup forms, detailing exactly how you can sign up for rakeback at Full Tilt Poker, as well as selling points of why you should sign up via that rakeback provider. But what about the other visitors? What about the visitors that already have an account at Full Tilt Poker? What about the visitors that don’t even know what rakeback is, or how it works, but heard the term and are curious googlers? What about the people who already have rakeback, but are looking for more details about how it works? That’s a lot of visitors that these websites aren’t accommodating. Sure – if you’re #1 for the phrase “Full Tilt Rakeback” then you are raking in the money I am sure – but that doesn’t mean you should immediately ignore all other visitors. You should be looking through your stats at every visitor. Looking at the keywords they use to get to your website. If possible, use programs like Clicktale to see exactly what visitors are doing. Break down every visitor by every possible demographic; get in their heads, understand what they are looking for, and then optimize your website for them. The questions I proposed above could be resolved very easily – links saying “Already have an account on Full Tilt Poker? Click here” and “Not sure what rakeback is? Click here”. It’s all about understanding your visitors, and getting inside their head. If you’ve got a website that isn’t converting well, or isn’t converting as well as it could be, then you have to sit back, look at every visitor, and ask why. If someone googles “play poker online”, visits your webpage and doesn’t click through to a poker room, then you have to try and understand WHY they didn’t convert, what they were looking for that you didn’t serve, and then try and resolve that. That’s why programs like Clicktale can really help for things like that – they can take a lot of guesswork out of it. On one website for example, I was getting a lot of hits for “Play 7 Card Stud Online”. However it wasn’t converting. Using Clicktale, I was able to see why. After the first two paragraphs I had this massive call to action. I was able to see via Clicktale that a lot of visitors were actually stopping at the call to action, assuming the article was complete, and closing the website. It’s all about understanding your visitors, what they are looking for, and then what you want them to do. 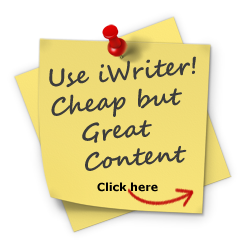 You can get a free trial of Clicktale here. I’ll even use this site as an example. This site used to be Poker Affiliate Bible,, which was a website where I didn’t practice what I preach – although that was technically my goal with the website – not to accommodate all visitors. The goal of many poker affiliate sites is to push people towards affiliate programs, and build up a huge sub-affiliate network. That is not the goal of Poker Affiliate Bible. 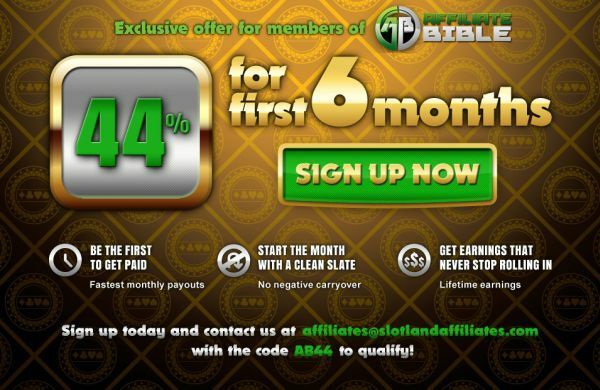 The goal of Poker Affiliate Bible is to educate affiliates, make them better affiliates in the process, while being my sub-affiliate. I rank very high for a lot of poker affiliate terms, and I get about 400 uniques per day from the search engines alone. These are often for nice general terms like “poker affiliate”. You know what I’ve learnt from using Clicktale? This site turns a lot of people off. It’s not a simple website. It’s not laid out in a K.I.S.S. style. You don’t know where to start reading. There’s so many links, and so many articles, and it’s overwhelming. The articles are long, and aren’t “web-friendly” in the sense that if you are skimming an article, you aren’t going to get the jist of it. And that’s exactly what I wanted it to be. I didn’t want the “get rich quick” affiliates. I don’t care about the visitor that’s interested in making money from poker by creating some crappy banner farm website and spamming forums and comment forms everywhere. Anyone who has sub-affiliates know that the majority don’t make money. That’s because when they realize this isn’t an instant return business – as in you aren’t going to throw up a website today and make $1000 tomorrow, then they give up. That’s why Poker Affiliate Bible doesn’t accommodate that type of visitor. It accommodates the type of visitor that is looking to learn. The type of visitor that is going to sit here and read every article, take notes and understand everything. Practically all of my articles here are minimum 1000 words, and most of them go into the 2000-3000 word range. If you’re not reading every word, this website isn’t really targeted towards you. I look at the biggest sub-affiliate earners I have, and the majority of them I know who they are. I know because they have contacted me at some point, or they have registered here on Poker Affiliate Bible and I’ve checked their stats. I’ve looked at their stats and I’ve seen that they have viewed every article on this website, spent time reading them, and when I write a new one they immediately come to the site and spend time reading that. Then I cross-reference the sub-affiliates – and there are thousands of these – who have earned me absolutely $0. I look at my stats, and I see that they have viewed maybe 2 or 3 articles, and skimmed them at that. A long time ago, this website was a lot simpler laid out, and I got a lot more e-mails from new sub-affiliates wanting me to help them. And I spent hours upon hours helping them, but realized I would never get through to them. Unfortunately most people just don’t get it – they just don’t. I actually remember one person who – and I just checked – over e-mail I wrote over 30,000 words to over the course of 2 weeks, trying to help him with his website, and internet marketing in general. He then let his website disintegrate because – you guessed it – he had put work into a site and hadn’t made millions of dollars after a couple of weeks at work. It was at that point that I decided to change things, and that’s where I spent a lot of time getting into the heads of my visitors. I determined that there was two primary groups. There was the get rich quick group, who have heard about being a poker affiliate or webmaster and want to make money TODAY, and then there was the group that wanted to become a poker affiliate and work hard at it. The group that understands it’s a marathon and not a race, the group that understands that it will take hours upon hours of earning no money and seeing no return, the group that can take criticism, the group that are eager to learn. The second group listed is the one Poker Affiliate Bible is targeted towards. I spend hours per day communicating with sub-affiliates and helping them out, and I’d much rather do that with people who are actually going to learn, who understand why valuable websites are important, who know it’s not a get rich quick scheme. Now this may seem like an extreme example(and it is!) it’s an example of understanding your market, who your visitors are, and what your goals are. If you ran a poker coaching website for example where you were “paid” via the players rake – then you’d be much better forcing visitors to watch three poker strategy videos and answer questions about them than letting any Joe, Tom or Harry get coaching right? Because then you are weeding out the ones who won’t make money for you long-term, and are only bringing in the players that seriously want to learn, and thus your chances of getting a good ROI for the personalised coaching that you offer is much greater. However all this is wrong. My goal was to weed out the “get rich overnight” affiliates and only target the serious affiliates. It has worked. However in the process I AM losing conversions, and I AM turning away potential money. However I also don’t want to spend my time writing 30,000 words of e-mails to someone who is going to give up two weeks in. So how do I accomodate that? By making Poker Affiliate Bible benefit. If they ask generic questions not answered on here, then I write an article based around that, and link them to it. If they ask specific questions, then everything I write I publish on here, which will help the current affiliate, existing affiliates and future affiliates, as well as Poker Affiliate Bible. I mean – some people just have short attention spans, or don’t want to sit around all day reading. That doesn’t mean they won’t succeed. Why should I not accomodate them? Surely I can actually have the best of both worlds? And just because an affiliate doesn’t “get it” from the beginning, what’s to say they won’t understand a few months down the road? Over the coming weeks you will see a lot of changes to Poker Affiliate Bible which I will document and eventually explain why I am doing everything, what I am aiming for, and how it has affected business from my end. How will I do this? By getting inside the visitors head. – Is turned off by the navigation. – Is turned off by the small font size. – Would prefer to listen to audio versions. Break it all down. Cover everything. Look at every keyword, every stat, what they are doing on your website, what you can do to accomodate them, what they are looking for, what you can offer them, what you can do to convert them. What you can do to make their experience better. This article was written on May 23, 2010 however all articles are looked at on a monthly basis and updated to keep them relevant.